Methodism in West Suffolk has a long ancestry tracing its origins to the several visits of John Wesley to East Anglia. Bury St Edmunds was on the route to Norwich and so provided a natural stopping place on his journeys. In the Journal of John Wesley we find records of seventeen visits made between July 4th 1755 and 20th/ 21st October, 1790, and this is a greater number of visits received than recorded of any place in Suffolk, It was about the time of Wesley’s last visits that the Bury Circuit was first formed. The first known appointment to Bury was that of Thomas Broadbent who was Wesley’s “Assistant” there from1790 to 1791 with Joseph Jerom as second preacher, There were then 160 members in the Circuit and good progress was made. In a letter to Broadbent, Wesley states that he has indeed reason to praise God for the blessings on his labours. At the same time he utters warning against getting entangled with the affairs of the world. Apparently, however the warning went unheeded as Thomas Broadbent returned for a second term from 1795/6 but became a supernumerary soon afterward. Finally he retired from the work and apparently became a merchant in King’s Lynn after a short time spent in Thetford. After this second term the work in Bury was such that it ceased to exist as a Circuit and to become incorporated in the Thetford Circuit for several years. The work recommenced as a separate circuit in 1813, from which time Bury has always been a separate Circuit on its own. Methodism in this village of Elmswell began at some time during this early period, although the actual origins are now lost to sight in the obscurity of time. We may safely presume that the village, like many a similar village, was missioned from the town. Either the minister or the local Methodists came out and found a hearing and thus the first Methodist Society came into being. The earliest record that we have is the certificate for religious worship which was taken out to license a certain place for the purpose. This is dated Nov. 1799 “Cert. by Herbert Warren of Bury St Edmunds, tailer, that the dwelling house of Wm. 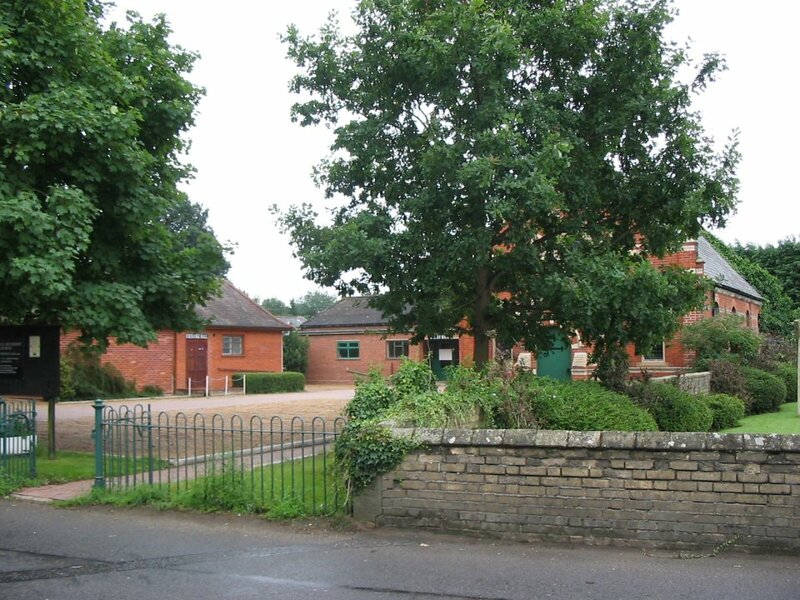 Mulley, situated in Elmswell….” Thus in a private house the meetings and services began to be held. While Bury was still in the Thetford Circuit plans were obviously being advance for the erection of a definite Chapel in Elmswell as distinct from the old cottage meetings. Although as far as we can tell the actual building was not to be opened for another eleven years, the first “Trust for the Methodists” was formed in Elmswell in 1807. Possibly this may have been upon transfer of a piece of land by Wm. Mulley for the erection of a Chapel. The following year, 1890, saw the formation of a new trust in Bury for the Chapel in St. Mary’s Square (the one which preceeded Trinity Church and which was closed in 1876). Among the Trustees were “John Clarke of Elmswell, Brickmaker”. It is of interest to note that although these two lived in Elmswell, their membership was at Bury Methodist Society. 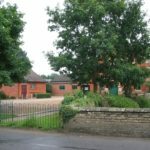 After 19 years of meeting in private houses, the Elmswell Society were able to move into a Chapel of their own in 1818. 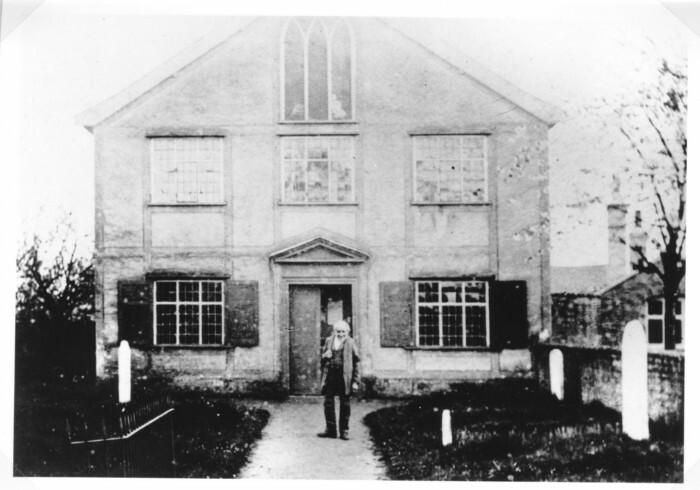 The old chapel is still remembered by a number of people still living in Elmswell today. The only surviving picture is held by the Misses Durrant. Like many village chapels it was simply a building for worship without any additional rooms or vestries. It contained the older type high-backed pews and high pulpit, on a level with the gallery. Despite these memories, however there is no clear evidence held as to age of the building itself, except for the tradition that it was ‘very old’. White’s Directory of Suffolk, 1844 is not always a completely reliable guide to Non-Conformist places of worship, but it does contain the entry, “Here is a Wesleyan Chapel built in 1818. This therefore would appear to be the first chapel of their own possessed by Elmswell Methodists. We may couple with a rather puzzling certificate for religious worship which was taken out in 1819 for “Rooms attached to Chapel” in Elmswell. Since there is no record of any such rooms ever being in existence that must remain a mystery. We get further glimpses of these early days from the old Circuit Plans held by Miss Nunn (now in the Bury St. Edmunds Circuit safe) which date from 1839 onward. On the 1820 plan (two years after the supposed opening of the old chapel) we find Elmswell in second place in the Bury circuit which now consists of 15 preaching places. No doubt most of these were at the Cottage Meeting stage. Some indication of the strength of the cause may be estimated from the fact that one or the other of the Bury ministers seemed to have come out fortnightly for the afternoon services, and usually the evening as well. It is also of note that in addition to having the Sacrament of the Lord’s Supper planned roughly every six weeks or two months, the Love Feast was still continued on the six-monthly plan. During the course of this period the disruptive movements were working within Methodism out of which emerged the different branches of the Methodist Movement – the different branches of the United Methodists, the Primitive Methodists, the Wesleyan Methodists etc. Primitive Methodism was rather later coming to Bury, the town being missioned from Brandon. Nevertheless we do find that there is some reflection of this when the Elmswell Trust was renewed in 1836. It now took the form of a “Wesleyan Trust Deed”. Similarly the 1820 plan had been simply for “Methodist Preachers”, but that for 1839 was “Bury St. Edmunds Wesleyan Preachers Plan”. It was still to be quite a while before there was a minister resident in Elmswell, but by this time a certain pattern was beginning to emerge. One or the other of the two Bury ministers would come out on the Sunday to the morning and afternoon service. Then for a number of years they would go on to Walsham for the evening, staying over for a further meeting on the Monday, returning for a Tuesday evening meeting at Elmswell. The next days were divided up between such places as Badwell Ash, Langham, Ixworth, and Norton before returning to Bury, sometimes as late in the week as Friday. When Walsham dropped off the plan the minister usually stayed at Elmswell for the third service, also for the Monday night, and then arranged his other weeknights accordingly. Although, in point of fact, these men were taking more services in Bury, than in Elmswell. In 1874 Thos. Sanderson was the last minister to come to Elmswell in this period, but a year later he moved to Bury, where he remained for a further period. 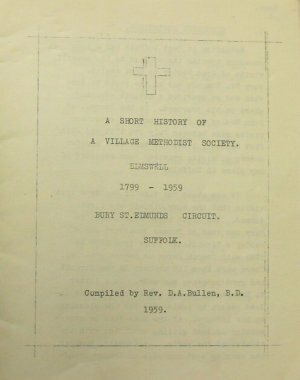 At this time Elmswell was fourth place upon the Circuit Plan (below Bury, Lavenham and Little Waldingfield) in 1884 however, it dropped to seventh place, some attempt being made, it would appear, to group the chapels and preaching places in geographical groupings. At the same time the number of ministerial appointments down considerably. In March 1898 the old chapel was pulled down after having served Elmswell Methodists for 80 years. The old chapel’s Foundations were to be used for a new Chapel, to be erected on the old foundations during the course of that year. During the months between March and November, 1898, religious services were held in the building that is now the office of “Jewers” next to the village railway station. In connection with this demolition of one chapel, and the erection of another, it is of interest to note one thing. Mr. Matthews, a society steward, and in general, leader of Elmswell Methodism, died in the late Autumn. He was buried from the nearly completed chapel. Thus one of the great figures of the Society who was born in the year of the erection of the first chapel, passed away in the year of its demolition, and erection of a new. It was the feeling of many at the time that this was the end of an era in Elmswell, and perhaps it was. So far we have traced the history of the building, and the people in Elmswell. We do wrong to think that all thought and interest was centred solely on the one community. There was an undoubted evangelistic and missionary spirit, that led to the establishment of new Methodist Churches in neighbouring villages. As Elmswell was the result of missionary work from the town, so Elmswell saw a circle of new societies spring out of its own work. It would seem that Drinkstone, Tostock and Great Ashfield at least owe their origin to Elmswell. There is still in existence the diary of a Mr Nunn of Drinkstone (born about 1805, died 1884). This is most illuminating in many ways, and in particular it shows how much influence the Methodist preaching had in those days. The first section deals with 1835/6 and shows the reflections of a man who attended his Parish Church, and found its sermons and services helpful, but at the same time finding no real spiritual rest within himself. The second section deals with the period 1838/9. Here he has been drawn more and more toward Elmswell Methodism. His comments on most of the sermons is most revealing. We get insight into the preacher’s whose names are on the plans. There is also a reference to a Love Feast held in 1838. From this point onward there develops the struggle between loyalty to Rattlesden Church and the attraction, of Elmswell Chapel. Finally Elmswell won and for some time this Mr. Nunn traveled to Elmswell every Sunday for worship. In the course of time he became a local preacher as also did a son and grandson. 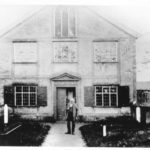 After a furthertime we find meetings being held in his home, a further development at Drinkstone Green, and eventually the work consolidated with both Drinkstone classes meeting in what is now the present Drinkstone Methodist Church. No doubt the other causes that grew out of Elmswell have some similar kind of history. of names and a quotation from Ecclesiasticus: THERE BE OF THEM, that have left a name behide them, to declare their praises. And some there be which have no memorial; who are perished as though they had not been, and are become as though they had not been born; and their children after them. But these were men of mercy, whose righteous deeds have not been forgotten. With their seed shall remain continually a good inheritance: Their children are within the covenants. When we come to the history of the present building material is much more ready to hand. Newspaper cuttings, old plans, Trust records and personal memory all contributed to the story. After the Elmswell Methodists had been worshipping without a chapel of their own since March and after building had continued throughout a fine Autumn, the great day of reopening dawned on November 24th, but it dawned wet and the roads were covered in mud. The account of the events is given in the Methodist recorder of December 8th and the Bury Free Press of November 26th. The sadness at the loss of Mr. Matthews a short time earlier was now dispelled in the opening festivities when a chapel full of people sat under the ministry of Rev. W. Foster who had come down from London (King’s Cross) for the occasion. He was supported by the Circuit ministers and others. The tea was well supported, with several sittings at forty at a time. The evening service under the chairmanship of Mr. Arthur Pain of Ipswich, the architect began at seven contained a number of speakers, and closed at about 9-30 p.m.
As far as we can trace, there is now only one remaining alive as lay pastor. He is Mr. Page who lives in retirement at Bournmouth. All of these seem to have lived in Elmswell with the exception Mr. Thorpe whose address was Drinkstone. This was simply because no house could be found for him in Elmswell. During This period there are some occasions when the membership of the individual churches is given on the Circuit Plans, and we can thus trace the way that the membership grew, then remained fairly consistent. In Mr. Hitchins time there were 16 adult and 9 junior members, but by the time of Mr. Shield the figure had risen to 37 full members. Then from the time of Mr. Page onward we get figures that range from 34 to 47, but usually are in the region 35-38. The increase in membership during Mr. Shields’ stay was largely due to a very sucessful fortnight’s mission by Capt. Davis, from or connected with Cliff College. It is interesting note that the membership has never dropped back al-through the growth of the village and fresh families moved in probably helped. A perusal of the Trust record shows that it was in Mr. Braithwaite’s time, in 1930 that electricity was first installed into the building and the older oil lighting was discontinued. Immediately prior to this there has been a time when two of the old lights had fallen on the floor, just before a missionary meeting, and had caused much confusion with burning oil. Fortunately the people were not in the pews and the trouble was soon cleared up. Also during this period there was much discussion on the question of acquiring additional land, and the possibility of erecting some new building for Sunday School and Youth Work. Although many enquiries were made, the new building itself was not to be for quite a number of years to come. Our final point we find in Trust records is the using of a sum of money in 1939 for the purchase of the present organ. This was installed and plans were to go forward immediately afterwards for the new building. The war, however, put an end to that planning for the time being and it was not until a later period that this subject was to be taken up again. Leonard Race 1942 (March) 43. Cwn and Kingstone. During this period the membership of the church has varied between 29 and 54. During the greater part, however, the figure has more often been somewhere in the 40’s, and at present stands at 44. With the new building has also come a development in work amongst the youth. 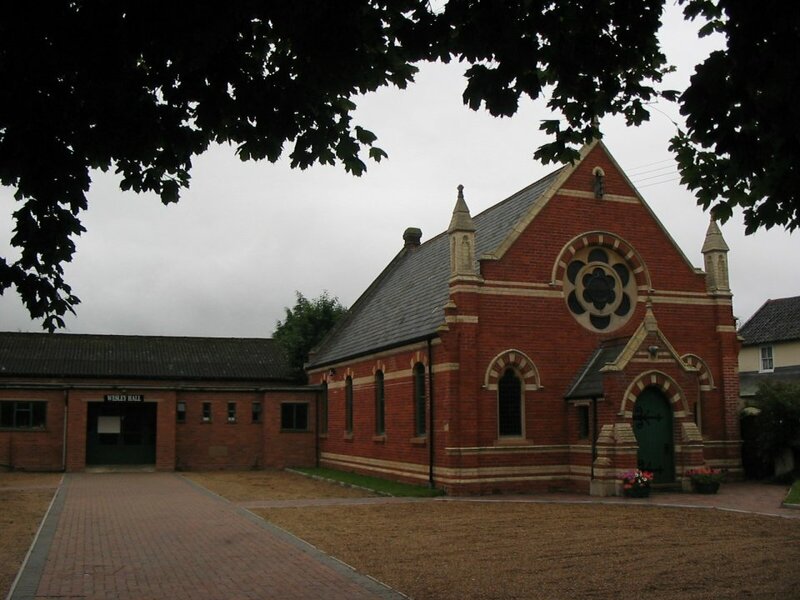 The Boys’ Brigade, Life Boys Team and Girls’ Guildry have now a valued place in the Church life. As we look at the situation, we find that the developments are still continuing. New electrical heating has been installed to replace the old tortoise stove method. This should bring some improvement to the congregation’s comfort, and at the same time help to keep the church clean and worthy of a place of worship. Alongside the material developments it is to be hoped that the week by week work put in by devoted leaders among all ages will bear fruit as both numbers of worshippers and quality of christian living also grew. To give some indication as to how it is hoped that this will in fact be accomplished I conclude by listing the principle activites of the Elmswell Methodist Church at the present. and more trees than a century ago! Boys Brigade Bible Class and Sunday School. Boys’ Brigade … Life Boys Team … Girls’ Guildry. Mr. J. Duncan of Bury St. Eds. To whom our thanks are extended. Newsletter, October 1997, “guest editorial” by John Fenton of Hanover Court. He also prepared a booklet . Methodism is alive and thriving, and, in Elmswell has been doing so since JohnWesley (the founder of the Methodist Church) paid his last visit to the area on the 20th October 1790 and so the Methodist Church has flourished in this village for over 200 years. 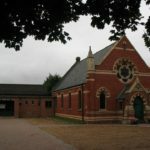 The current Church in School Road will be celebrating its 100th Birthday on the weekend of 23/ 24th October 1998, and the Methodist Society in Elmswell celebrates its official Bi-centenary in November 1999. For it was in November 1799 that a Licence for Religious Worship was issued in respect of a Dwelling House of one William Mulley situated in Elmswell to be used for worship. Thus in a private house the meetings began to be held and they were to continue there for 19 years until the first chapel in School Road was built in 1818. Both of these events are worthy of celebration, and many events are planned, these include Social events and a Flower Festival. One event under consideration is an exhibition of 200 years of Methodism in Elmswell. We would be grateful if any reader or their families, grandparents etc., have any items of interest regarding the Church or the Sunday School (which in its heyday had over 80 regular members). These could include photos, awards, books, reminiscences etc., in fact anything relating to the above, that they would be willing to loan. 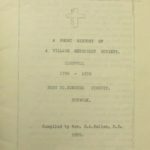 As Elmswell is one of the oldest Methodist Societies in England, stemming as it does from the time of John Wesley himself, it is also hoped that a commemorative booklet could be produced and items mentioned above could be used for this purpose as well. There is however no need to wait till 1998/99 to come to visit us, any one is welcome to come and join us any Sunday at 11.00 am, or at special events that will be advertised on the notice board in School Road.